Welcome to My Pulman Used Cars. A smarter way to find your perfect vehicle. See a car that you like? Select the Watchlist button and be alerted if that car reduces price, new images are uploaded or even if a video is added. Looking for a specific car? Save your search preferences and be the first to know when a car is added to the Pulman Used Car website that meets your search preferences. Add your existing car to your account under ‘Your Garage’ tab and request a car valuation. Check when your MOT and Road Tax is due. You are in control of which cars you want to follow, what searches you want to save and what communication you receive. Change them at anytime. Select your preferred method of contact. Choose to pause alerts. Choose to remove alerts. The choice is yours. 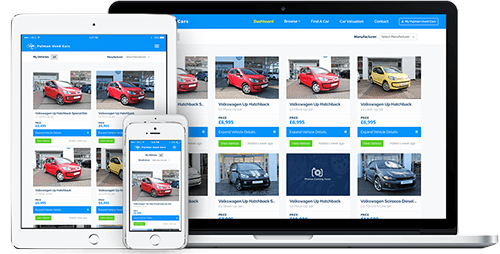 Create your Pulman Used Cars account today and discover a smarter way to find your perfect vehicle today!